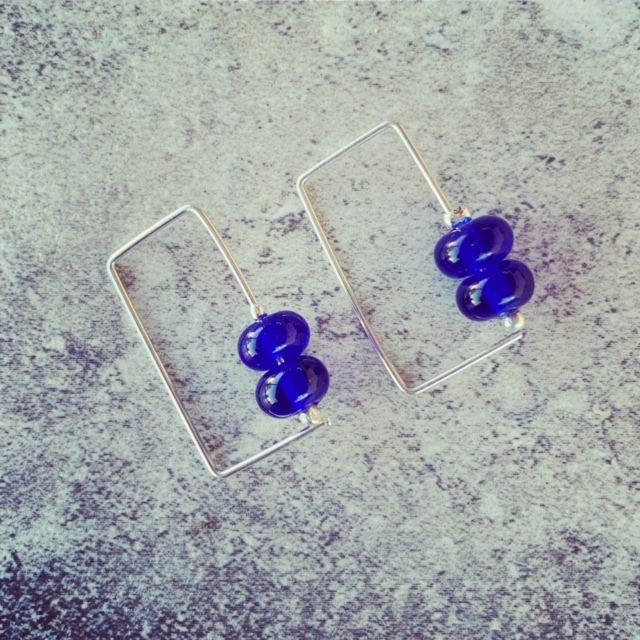 Rectangle hoops featuring beads made from a Skyy Vodka bottle. Love this stunning colour. I have been testing the red version of these hoops today, very very cool look I have to say I have loved catching glimpses in the bathroom mirror!